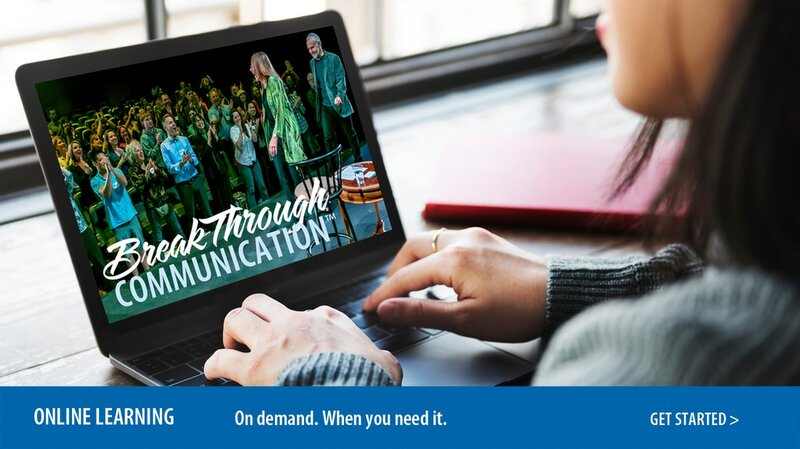 Filmed before a live audience, all three Glaser & Associates’ communication mastery programs—BreakThrough Conflict™, Hardwiring Teamwork, and Persuasion & Influence—are now on-demand, full-length video courses. BreakThrough Communication online serves as a supplement to on-site programs, and as a stand-alone substitute for new hires. The online platform allows organizations to improve their communication culture on an ongoing basis. In addition, an online credentialing program allows organizations to track individual learning and to certify master users and coaches based on their level of achievement. Participants can attend from the convenience of their own desk, watch sessions multiple times, learn at their own pace, eliminate travel costs, and schedule professional development when it works best for them.